Laguna PowerClear Multi All in One Pump, Filter and UV unit is the perfect way to combine powerful water movement whilst still being able to create beautiful water features in your pond. 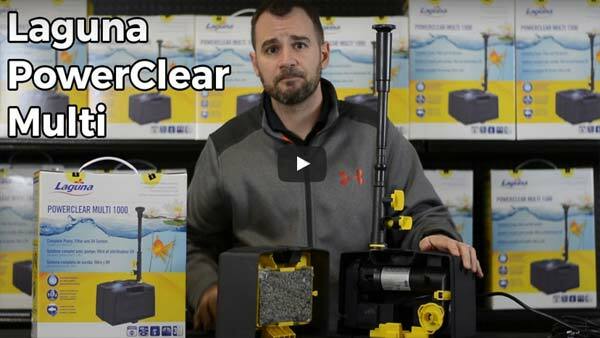 Easy to install, with just one cable, PowerClear Multi is the easy way to a clear and healthy pond. With its Advanced Filtration process, each PowerClear Multi model comes with durable filtration foams to catch dirt and debris, a revolutionary 'Bio-Brick' to house beneficial bacteria and remove ammonia, and a powerful UV. Powerful enough to run both a fountain and a waterfall.